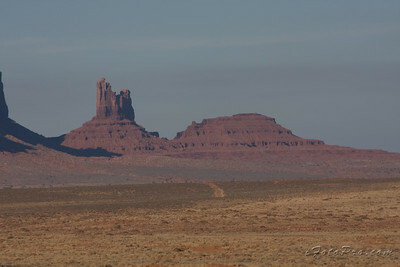 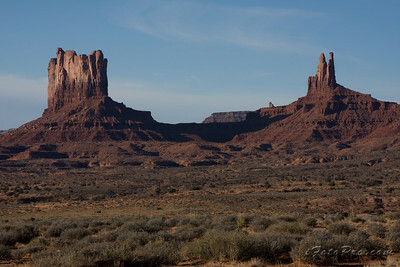 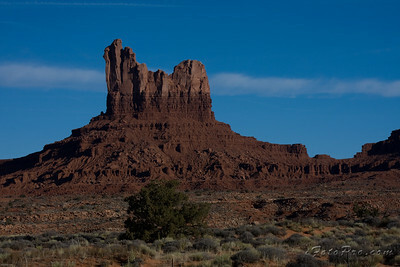 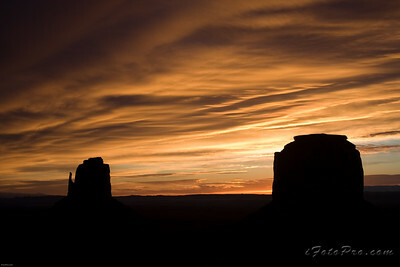 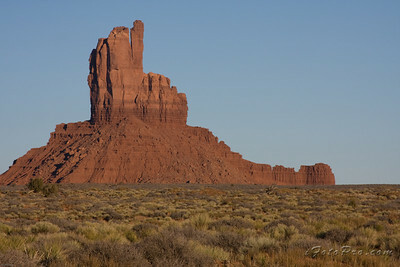 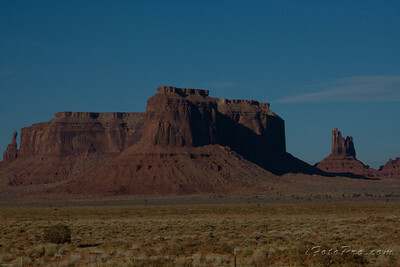 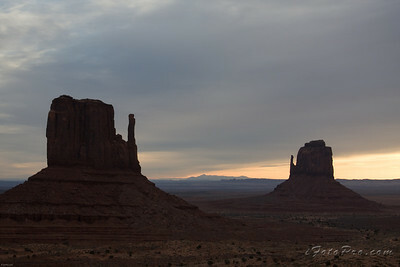 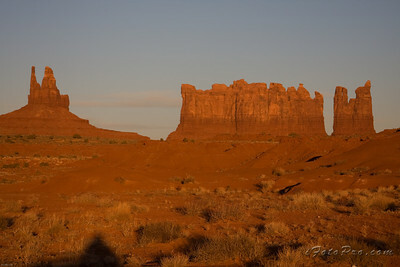 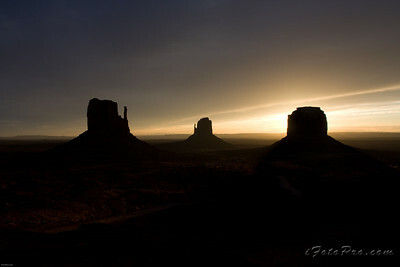 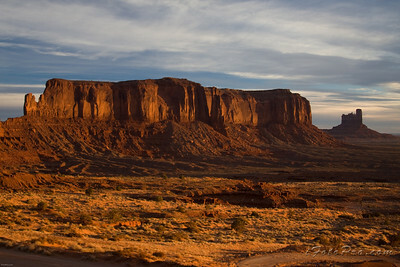 Monument Valley, known for it's rock “monuments” that were created by nature as opposed to being man made. 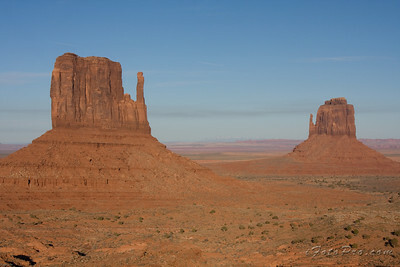 If you're watched western movies (or even Back to the Future III), you have probably seen these as backdrop. 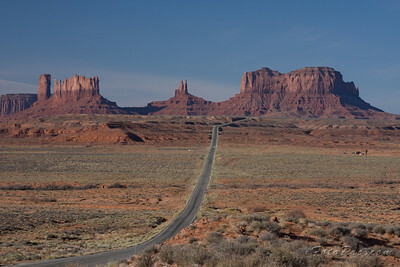 Also, the long straight road (US Route 163) is where Forrest Gump decided to stop running. 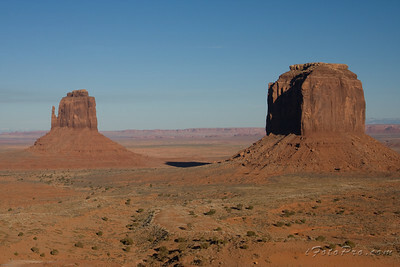 The road where Forrest Gump stopped running. 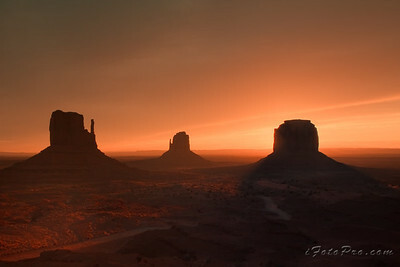 Watch the movie again, to see for yourself. 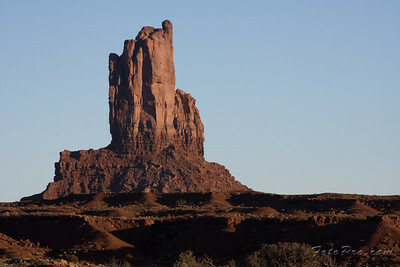 The town near by was named after this rock. 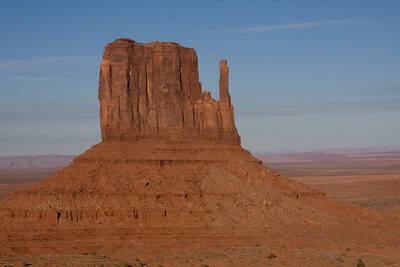 Have you guessed it? 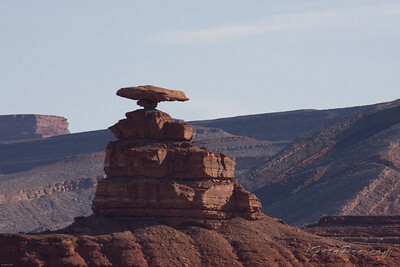 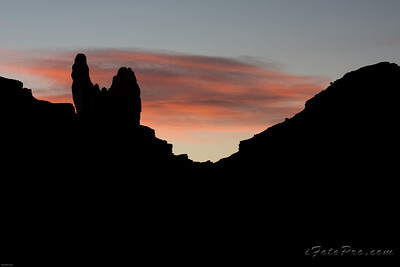 Mexican Hat, AZ (near Monument Valley).